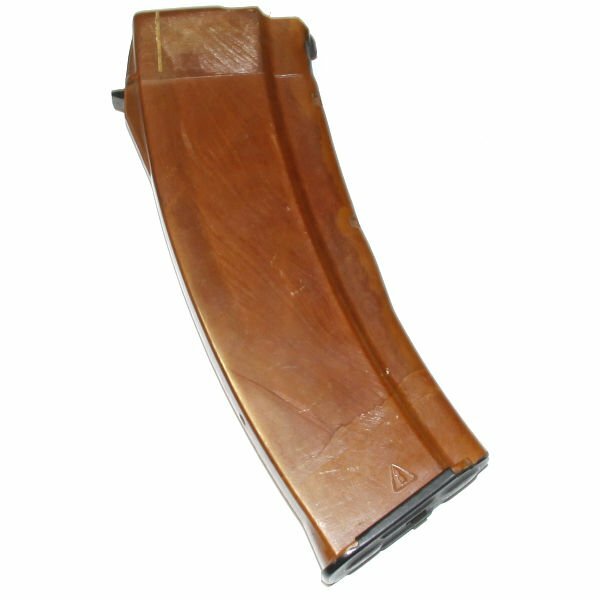 Russian bakelite 30rd AK74 5.45x39mm magazine. Izshevsk production with arrow in triangle proof. These extremely high quality, durable and good looking magazines are surplus in VG-EX condition and in perfect working order. Many are unissued. Product Review: Get them while they are in stock. This is the cheapest I have seen these. High quality and look like they have been barely used. Product Review: They might be more expensive than what you find in the forum marketplaces but the two I bought are in pristine or new old stock condition in a sealed plastic bag.